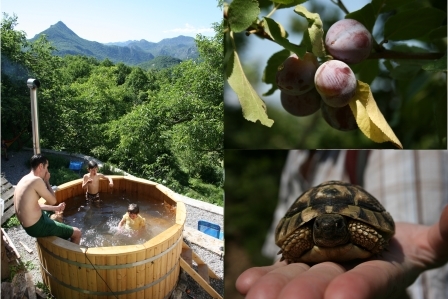 This Montenegro yoga holiday is a fantastic, back to nature yoga retreat. The holiday is based in Skadar Lake National Park, a place of exceptional beauty and untouched nature . It’s the ideal place for you to relax and rejuvenate yourself. This area offers clean air, fresh water and wildlife abounds. During the holiday you’ll enjoy daily hatha yoga flow sessions. These take place on the villa’s terrace overlooking the lake, at panoramic lookouts and on freshwater beaches. You’ll also have the option to join other guided excursions like hiking, wild swimming and kayaking. 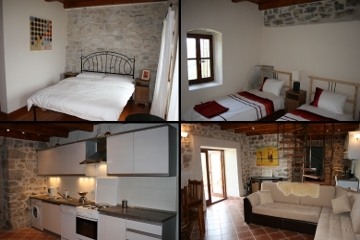 Or you can just hang out at the villa enjoying the hot tub, orchard and the book and dvd library. 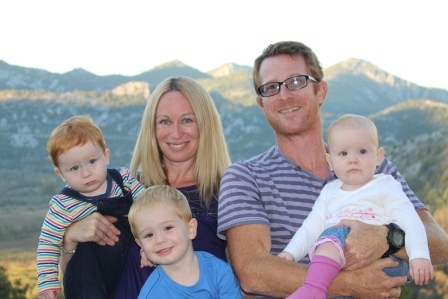 The Montenegro yoga holiday is hosted by a lovely couple, Ben and Emma (and their three children), who have an undying passion for this region. Your yoga instructor for the Montenegro yoga holiday is Helena Markovic. Helena is a UK-based, qualified yoga instructor with 14 years’ experience. She is both British Wheel of Yoga and Independent Yoga Network qualified. Hatha yoga is a mental and spiritual practice that encourages you to find the balance between effort and relaxation. 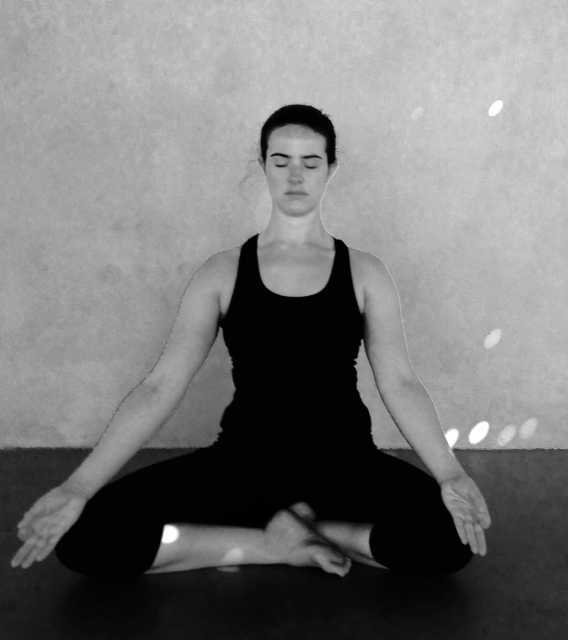 It uses movement and breath together to produce a flow of postures. The emphasis is on developing strength, flexibility and relaxation. Each class begins with a warm up that focuses on correct alignment and breathing. Then you’ll be led through a dynamic sequence of standing and seated postures which combine stretches, twists, forward and backward bending. The class finishes with deep relaxation and meditation. There are 1 or 2 classes each day (morning and evening) for around 90 minutes each. These are suitable for everyone from absolute beginners to experience yoga practitioners. And they’re guaranteed to leave you feel relaxed and energised! Arrival at Skadar Lake. There’s a welcome dinner with drinks on the terrace overlooking the lake. The day starts with morning yoga. Then there’s a beautiful lake cruise to Kom Monastery. This simple, beautiful monastery has 180 degree views over the lake. 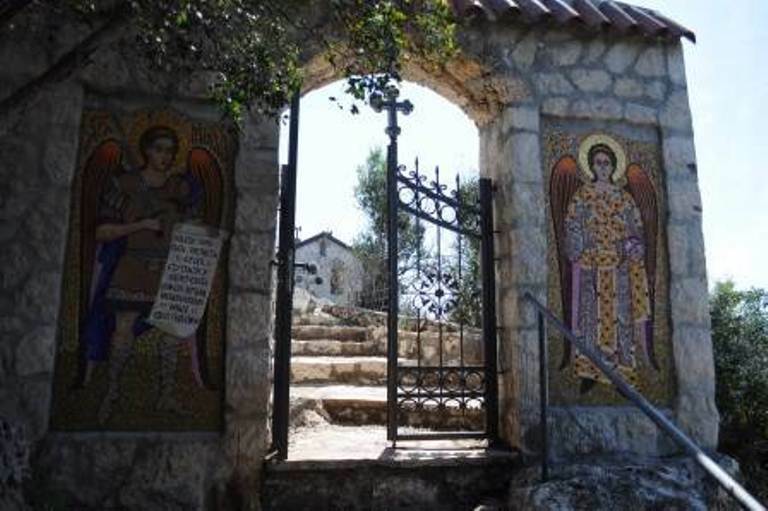 All you hear up there is birdsong, buzzing bees and the monastery’s free-roaming chickens, cats and donkeys. Inside the monastery you can see 15th Century frescoes. This is the only church on the lake that’s never been destroyed by invading armies. That evening is free to enjoy dinner at a local restaurant or self-cater at the villa. The day starts with a yoga class. Then there’s a 3 hour hike to the medieval village of Godinje. The route offers glorious views and the chance to pick wild herbs along the forgotten donkey trail. You have the choice of bringing a packed lunch or lunching in the 14th Century cellar of a local restaurant (extra charge). 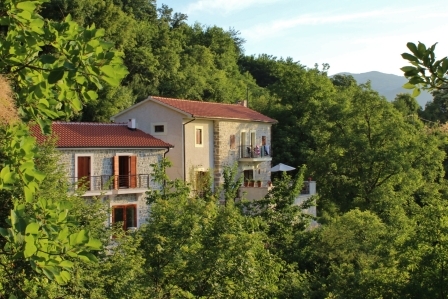 In the evening the group will enjoy a dinner at the Uksanovic Winery in Skadar Lake Valley. Today starts with a 15 minute walk to Besac fortress in Virpazar. The morning yoga class will be held here on the roof terrace. The rest of the day is yours to enjoy however you like. For dinner you can dine at a local restaurant or self-cater in the villa. Today is all about relaxation and unwinding. The day starts with a late morning boat trip to an idyllic freshwater beach. There you can swim, do yoga and relax before enjoying a late afternoon buffet at the beach restaurant. Everywhere's a spot for yoga! The days starts with a morning yoga class. 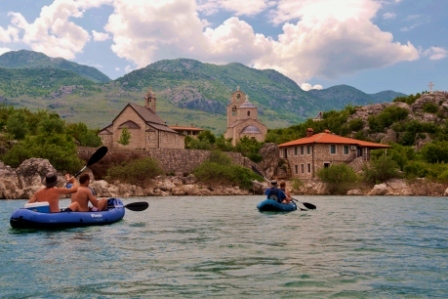 Then it’s into the kayaks for a trip to visit the nuns of 14th Century Beska island monastery. You’ll be able to swim and kayak in the clear waters, enjoy the solitude and bird spot your way across the lake. In the evening you’ll head over the Dajkovic family estate to enjoy a ‘zero mile’ dinner of organic food and drink all produce right there on the estate. The final day starts with morning yoga. Then it’s off on a car and hiking safari to see the wetlands and winding rivers of the northern part of the lake. Along the way you’ll see natural rock pools and waterfalls, a large cave and go wild swimming. Lunch is in the village of Rijeka Crnojevica. The price of the holiday is £695 per person. These holidays are payable in GBP so I’ve listed all prices in Pounds rather than Euros to allow for exchange rate fluctuations. If you have any questions about this holiday or would like to make a booking, you can do so by filling in the enquiry form below. You’ll be answered within 24 hours.